To Adela Pankhurst, suffragette, politician, political organiser. From Cat Crossley. 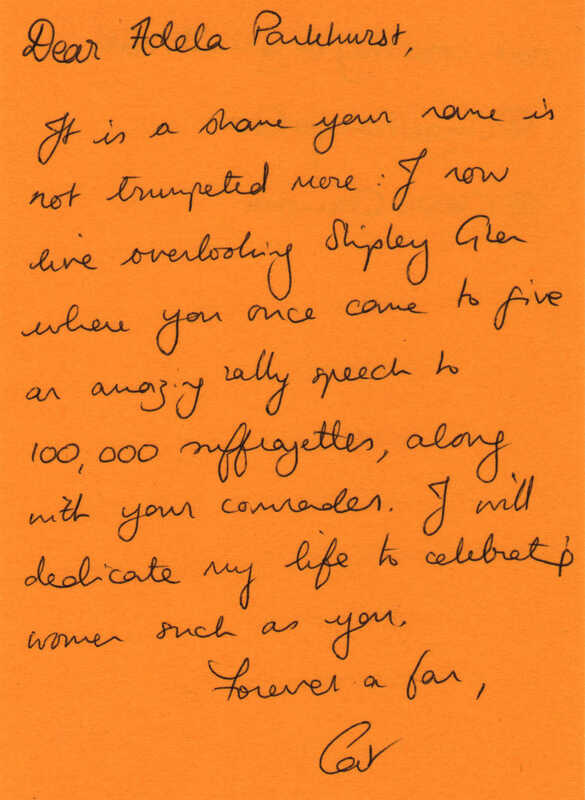 It is a shame that your name is not trumpeted more: I now live overlooking Shipley Glen where you once came to give an amazing rally speech to 100,000 suffragettes, along with your comrades. I will dedicate my life to celebration women such as you. suffragette, politician, political organiser. Born 1885, died 1961. More information about Adela Pankhurst.